Woman attacked Jewish girls in Crown Heights after finding out they were Jewish. Assault comes among recent spate of anti-Semitic attacks. A woman viciously attacked a pair of Jewish girls in Brooklyn's Crown Heights neighborhood on Thursday. According to the New York Daily News, Shannon Polak asked the girls where they were going, and attacked them after the girls told her that they were heading to a Jewish event. Police say Polack pulled their hair, pushed them, and choked them, all the while asking them if "you really believe all that." Polak also punched a hassidic man in the face when he tried to intervene and help the girls. Police arrested Polak and charged her with assault, and the New York Police Department Hate Crimes Task Force is probing the incident. 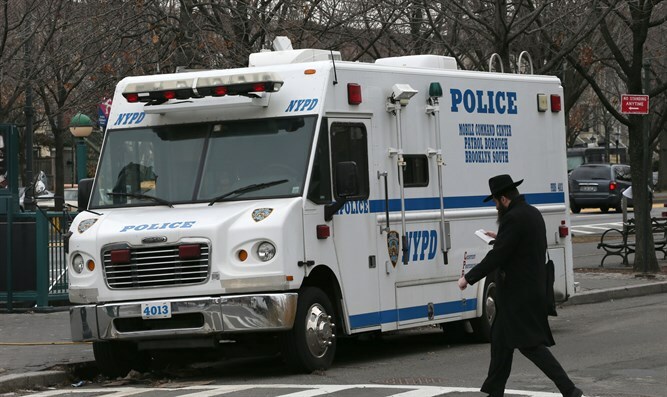 A boy was attacked by thugs in Crown Heights in a separate incident on Saturday as he made his way home from prayers. The boy’s father said he spotted the assailants moments before they attacked, and was able to avoid serious injury to his son. “My son said that he understood something was going to happen and as he was thinking about what he should do, when they suddenly pounced with one of them slapping him so hard that he fell to the ground, while a second one was hitting him in the head,” the boy’s father told Crown Heights Info. In late September, a legally blind Orthodox Jewish woman was attacked by locals in Crown Heights. The 62-year-old woman was verbally harassed with offensive, anti-Semitic language by the assailant, who then pulled off the woman’s wig before escaping.